Cinema, by its nature, is a distortion of reality, often in glorified and bombastic fashion and never more so than in the depiction of serial killers. Cast your mind back to the last police drama, detective thriller or grizzly horror spectacle you witnessed, how would you describe the antagonist, or protagonist, killer driving the narrative? Ingenuous? Oddly endearing? Peculiar? Freakish? Conniving? Unctuous? Unhinged? While it’s probably a concoction of all of the above and more, there’s likely to be one adjective that relates all these murderous figures; unrealistic. 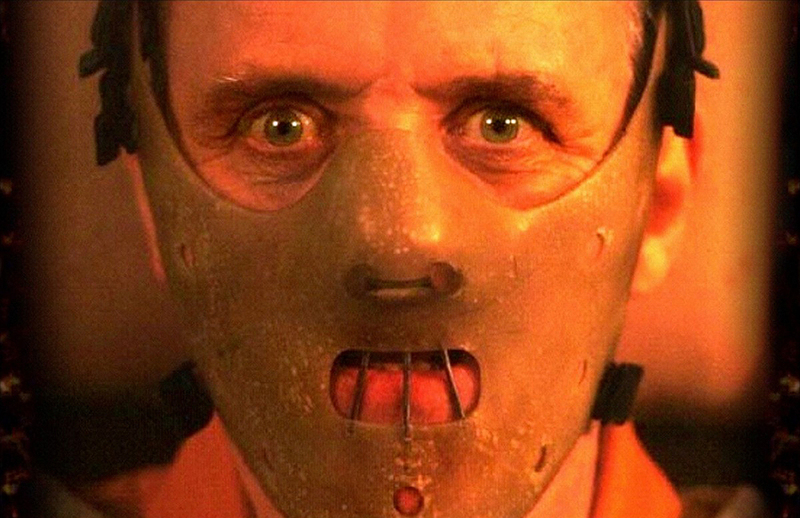 You can probably pigeonhole most memorable on screen killers into three categories; the physically weak but mentally deadly like John Doe from Se7en and Hannibal Lecter from Silence of the Lambs. Secondly, the physically grotesque who only exist in our nightmares, Freddy Kruger, Jason Vorhees and Michael Myers (not that one) the usual slashers, and finally the twisted sicko whose actions are usually the result of a disturbed childhood, often the TV thriller favourite that’s spawned out of Psycho’s Norman Bates played wonderfully by Anthony Perkins. These three typecast serial killers have influences from reality but often we’re swayed to oddly revel in their murderous ambitions, there’s a pomp and intrigue that elevates them beyond simply being a psychopath, an admiration that doesn’t ring true off screen to our most notorious killers. Television and film, the former the most blatant and unrelenting in its fantastical portrayals, loads serial killers with traumatic pasts, endearing charms and ultimately a depraved mind, these attributes act to ameliorate audiences concerns that a serial killer can’t just be one of us, a normal citizen but must be a crazed monster disassociated from the masses. Occasionally film breaks the mould and edges out of the safety net of a bizarre persona for its bloody butchers, one such brave and unflinching portrait of a killer is Peter Bogdanovich’s first major film Targets. Despite being only the now veteran director’s second feature length film it’s an outstanding look at the difference between monstrous murderers on screen and off. Targets uses a morbid juxtaposition of an ageing film star famed for his starring roles as dated Frankenstein type monsters with a real life killer out on the loose upon the public, perfectly pitching the disparity between what fear films instil in us and what we should actually fear in the everyday. The film is a fine example of life imitating art, or art imitating life, as Boris Karloff, in his last great role, aptly plays the faded actor contemplating his legacy of depicting monsters that seem dated and trivial in the modern world. The 1960s loss of innocence and realisation of the horrors mankind, notably in Vietnam, is realised in Bobby Thompson (Tim O’Kelly), a young, sprightly man, the epitome of America’s youth. One day this painfully normal boy decides to murder his wife and mother before embarking on a violent killing spree with his rifle, unscrupulously gunning down any passers-by. 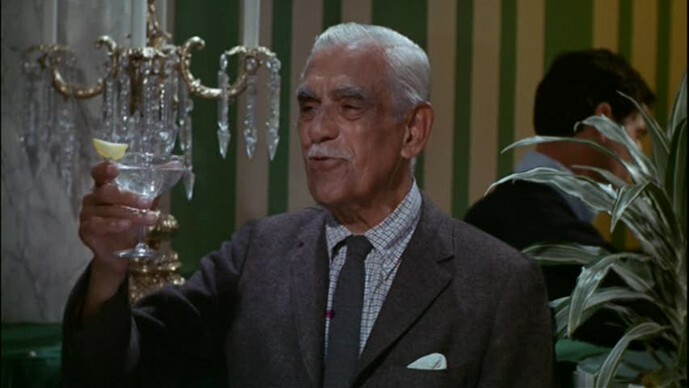 Targets was one of legendary monster impresario Boris Karloff’s last films. Thompson’s spree is callously filmed, there’s neither rhyme nor reason to his actions, just an unwavering desire to do harm to others, he realises his moral depravity yet can do nothing to discontinue his behaviour. As he takes aim on the unsuspecting motorists cruising freely the music stops, the wind whistles past and he blasts away at the distant cars, the successful hit on a convertible is eerily reminiscent of JFK’s assassination five years prior. Perhaps the most notable moment of this startling scene is the way Thompson nonchalantly eats his lunch before committing these irrecoverable crimes, a bold emphasis on his indifference to killing and the chilling normality of this young man. There are minor elusions to Thompson’s troubles emanating from his time in Vietnam, but this isn’t pushed as hard as Travis Bickle’s descent in Taxi Driver and shouldn’t be used to detract from Bogdanovich’s refreshing vision. Serial killers don’t have to be oddballs on the outskirts of civilisation or ridiculous monsters from a forgotten time, they can be normal people just like you or I who have inexplicably fallen into a dark place. “I do not quite understand what it is that compels me to type this letter. Perhaps it is to leave some vague reason for the actions I have recently performed. I do not really understand myself these days. I am supposed to be an average reasonable and intelligent young man. However, lately (I cannot recall when it started) I have been a victim of many unusual and irrational thoughts. The relevance today of Targets can’t be understated with gun violence in schools and universities in America so frighteningly rife. Hopefully the film can act as prescient reminder to the real dangers and threats to us, not Leatherface wielding his chainsaw manically or Frank Booth in Blue Velvet hysterically abusing his targets while singing Roy Orbison, but the everyday person who could just flip at any moment without warning, subsequently putting the emphasis on observing the nation’s largely overlooked mental health. 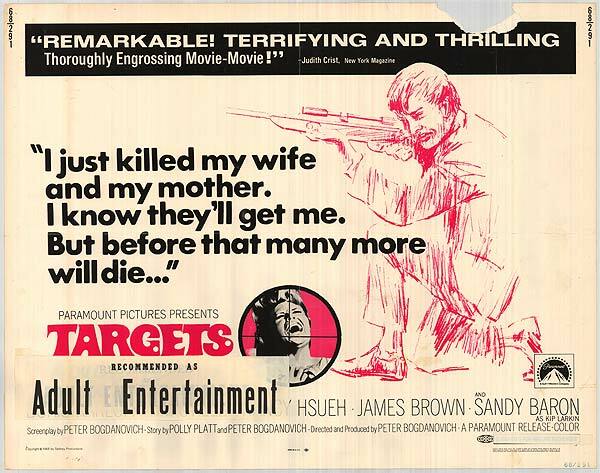 Targets remains the modern day portrait of a serial killer and a truly terrifying vision.